My Halloween costumes have gotten a lot more inventive over the past years, but I took the lazy way out last year and was a cowgirl...boring! 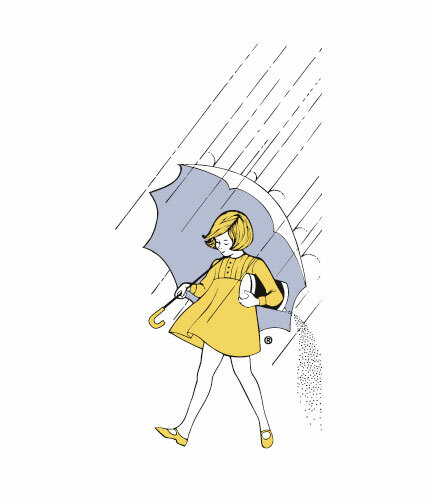 So, this year I'm putting last years idea into action...Morton Salt Girl here I come! I've got the blond hair and the umbrella, so all I need are the yellow shoes and dress. 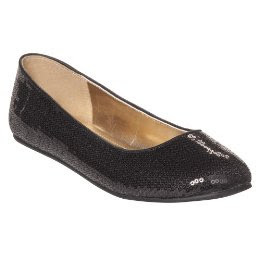 For the shoes I'm going to spray paint these cheap, Target flats below. Spray painting shoes? Oh yes, it's nowhere near as scary as you may think. I did it two years ago when I needed gold boots for my She-Ra costume and it turned out really well! I found a good tutorial on MADE that explains how to paint your shoes. As far as the dress goes...I'm trying to figure out the best/cheapest/easiest way to do it...so if you see and cute little yellow dresses out there, let me know! I'll probably see what I can find at the thrift store and merge a skirt and shirt together...can't wait to see how it turns out! I post pictures along the way. post pics so i can see!